has been really annoying. Had a hard time getting out there. Of course once have to go back to work it will be sunny for days on end. Happy Holidays back at you Park Lova. looks cold. those foot prints on top of vernal or is it the hand railing? Thanks for posting your photos!! Love all of them. The forecast is sure looking that way right now. I'm ok with it. Got my 100 in this year after being close for quite a few. And wifie said can start anew next weekend. It took me a sec to realize, that photo of the top of Nevada Falls you guys are ON the bridge? Ha! That's fantastic. Yeah. A wee bit o snow. Really interesting to see The Emerald Pool nothing but a huge snow field. Awesome. Thanks so much for posting. Really great to see what it looks like now. Also great to be able to see, without sinking 2 feet in the snow. Bad weather on holidays and weekends, and good weather while working, seems to happen way too often this time of year. We were in Yosemite for a few days but I was at Badger watching my son ski most of the time. We did snow shoe up to the fire tower at Henness Ridge on Sunday and enjoyed the view. You know you guys drive me bananas when you do this. Yes, it a stellar view. But I just see words. It gets worse. The lookout there is going to be restored and, if it works as planned, staffed during the fire season. We'll need volunteers to staff the tower from one day to a week. I am happy to hear about the plans to restore the fire tower. I am a fan of "parkitecture" AKA Rustic Design/Style of that era and every since I saw the condition of the fire tower, I have been wondering if it would ever be restored. I even saved an article from the National Parks Magazine about the NPS finding new ways to preserve historic buildings just in case I ever came across someone in the park who does these things. Do you happen to know who will be in charge of this restoration? If anyone else is interested in the architecture and design of National Park structures built during the 30's, there is a really good book called "Patterns from the Golden Age of Rustic Design, Park and Recreation Structures from the 1930's" by Albert H. Good. There are old pictures and design plans of several Yosemite structures in it including the Henness Ridge Lookout. There are also floor plans of the Ranger house at Tioga Pass, Badger Pass Ski Lodge and Big Trees Lodge. I knew at one time. Most of the money is coming from the Buck Rock Foundation.. The work will be done by volunteers (hint hint). It's still in the planning stages so not much is known about exactly what will be done, but the "parkitecture" will be preserved. You can get that book on Amazon.com for almost $50, used. Edited 1 time(s). Last edit at 01/04/2013 04:58PM by Dave. No hinting needed. If the timing works with school and getting off at work we would love to help with the restoration. I already have a pair of boots with NPS brown paint on them from painting fences in SMMNRA - I love to paint. We are also pretty handy with hammers and nails. I'm not sure when the work will begin, but we will be working on the Miami Mountain Lookout this spring. It's on Hwy 49 between Mariposa and Oakhurst. I'd like to restsore Hennes Ridge Lookout. Now thats a TOWER! It's across the river from the Cedar Lodge. I'd like to restore Hennes Ridge Lookout. Now thats a TOWER! It's across the river from the Cedar Lodge. Are you thinking of the one on Mt. Trumbull? that's near top of the old Northside Incline. The Hennes Ridge tower is on the south side of the river, halfway between Yosemite West and the top of the old El Portal or Southside Incline. You're right. That's the one. There's been talk of restoring or preserving many of these towers. So it is the Trumbull tower that you were talking about being restored and not the Henness Ridge one? There are plans to restore the Henness Ridge Lookout. I would LIKE to see plans for Trumbull Peak. The problems with that are access and it's a much bigger project. From what I've read it's one of the few tall towers left in Calif. It would be a shame to see it go. I wonder if I could buy it and turn it into a vacation rental? Opps looks like Wherever posted while I was typing. Edited 1 time(s). Last edit at 01/04/2013 10:13PM by parklover. Sorry, no picture. My husband is the photographer in the family and he went back to work and has not had time to download the pictures and I don't touch his photo stuff. does anyone know the name of the fire lookout tower that can be seen from wawona? The one I am thinking of can be seen from parts of the Chilnualna falls road. Has to be Devils Peak. you need a microscope to make it out. picture in the link), and Henness Ridge. If I get to Trumbull this year I'll post some pix. Looks awesome. Much like North Mountain. Thanks for the link. I have always had a fascination for fire towers. 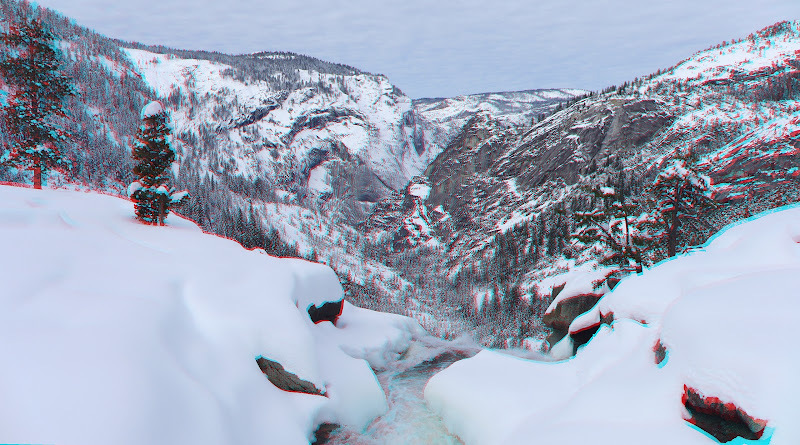 With binocs you can see North Mtn from the road into Hetch Hetchy. It's a long hike there along a trail they have long decided to not maintain. For you I'll post a picture or two of the tower tonight. Edited 1 time(s). Last edit at 01/07/2013 03:47PM by chick-on. When you know the tower is up there... you can make it out with the neked eyeballs. The Crane Flat lookout is pretty interesting. They've got a visitor registry you can sign. And a set of captioned photos telling you what peaks etc. you can see in each of the 4 directions. Plus that's the Helioport for SAR for the area, so you can the helicopter. What determines if the gate is close or not? Every time I drive by I look and I've never been able to figure out a pattern. so people are poking around where they shouldn't be. I guess it should be noted that the actual lookout tower is not used today. It's more of a museum for us to enjoy. Sorry it took so long but thanks for the pics. Somehow I missed your post. We have not been to the Crane Flats Lookout yet. Hopefully this summer. Between my son's school that keeps rearranging their summer vacation and the high volume of homework he has during school, and my husband's work schedule, our trips have been really short in length and we never seem to get the chance to do all that we want to do. Chick-on, Here are some pics when I went up to Trumbull last spring, I have some more too if you want. Missing the bottom few steps. Seems intentional, they don't want you climbing up the tower but easy to bypass. A nice view into the valley. Notice the foundation for the incline on the first ridge. Easy to get to from Trumbull, just walk on the old railroad grade, which connects to the road up to Trumbull. Now I'm motivated to make up to North Mountain. One of the few trails that I haven't done in the park and am now sufficiently motivated to do so. Did you just take the trail from Miguel? I have heard that it is pretty overgrown, was it hard to follow at all? up and down. Although I'd rather stay up high. every day into his 80s. North Mountain. It may have been me who said the trail was yummy. to follow. We didn't have much issue. I posted this photo before but darn if I can find it. said sca-rew it. Think only got maybe 1000 ft. up. (if that). Other time had idea to go there from Poopenaut taking the old Poopenaut to Eleanor trail. still over 4 miles away and having to get back down to Poopenaut... no way. Also had idea to go from Jones Pt. or from bridge over Cherry. Thanks for the beta. I will probably go from Miguel as I want to do the trail so I can say I've done it. A bit silly, but why not. A buddy of mine was planning to go to North Mountain as well sometime in the next few months, but from Poopenaut or Preston. Can't remember exactly but will ask him when I see him next week. Not surprised that they haven't logged or maintained that trail at all. As for Trumbull, both times I've been is when I went up the old Incline, then followed the railroad grade, meet up with the road to Trumbull, then followed it to the little spur trail to the lookout. Maybe not the answer you were looking for. From there we just went pretty much straight down, which now knowing it is an area for rare wildflowers may not be the best place to go down. The up isn't too bad, just steep, though up has never really bothered me, but the downhill is hours of side stepping which gets old after a while. Just not a common movement so your feet get sore really quickly in places. Plus you have to be careful not to get cliffed out and avoid the poison oak. Not too bad, but not for everyone either. But it's gorgeous to be on those hillsides in the spring. As for other routes, there are roads to Trumbull. From the link posted above by parklover, I surmise you noticed that roads accessing the area are closed until October. Even then, I hear having a high clearance car is recommended and can be tricky. Talked to the lady who used to live at the base of the incline, it was her driveway. Said that her brother used have parties up at Trumbull all the time in the 60's-70's before the house deteriorated. Haven't heard about an old dude walking up the incline, but it might have been the guy who wrote the book Memories of El Portal that they sell, or at least used to, in the El Portal Market. It was the book that introduced me to that area and its history. But as overgrown sections of the incline were before the Motor fire and the brutual descent, I find that hard to believe though some people just suprise you. Why would that be silly? Touching all the trails is a great way to see all the park. to Fish Camp from Mariposo Grove. argh! o well.. more to do this yr.
before April when there are no cars allowed. to find the exact bottom of it. I guess it is where the bunch of houses are. east of there... just not positive where is best. want to go up Poopenaut-Eleanor "trail" (hahaha) again but stay further south. On that trek ... um... yeah... it was yummy.. and I got PO on my nose. As for the incline, the bottom of the incline is the long curved driveway just after the ~90° turn after Dry Gulch Campground. If you go just past the driveway you'll see a big cement structure that was part of the base of the incline. We just asked the people that live on the bottom if we could walk up the incline, and they said sure, so it wasn't a problem. If you don't feel comfortable doing that, I would suggest going up the hillside just before the curve and the houses. It's steep, but similar to what you will encounter later on the hike, so you may as well get used to it. March is a great time to do it, it's generally not too hot, it gets very hot on the hill, things are green and you can see some amazing wildflowers. I'll let you know how the north mountain adventures go when they happen, but it might be a while, and knowing my buddy, maybe a long, long time, hence the reason I'm doing it alone. Edited 1 time(s). Last edit at 01/15/2013 10:50PM by buster. The fun is exploring. Seeing for yourself what is out there. exploring the old works, checking out the dragonflies. It's what you make of it. Just being out there is what it's about. The journey is the destination. Went up to North Mountain this week. Went from in from Miguel meadows. I think yummy would be a great way to describe it It doesn't appear any work has been done on the trail since 2009 (or long before that) and it's pretty overgrown in spots but great in others. The worst in my opinion is all the bushes growing on the trail and you are essentially walking right through it. You can avoid a lot of it, and I did more so on the way down when I knew the route. I think I have a photo of a bad section of trail, but I don't take nearly as many photos as you. The worst section i think is the climb from the last stream to the dry pond (marsh on the map). Maybe I was just tired and irritated, but those bushes were really annoying. On the way down I completely skipped that section. Agree that the first section from Miguel to the Swamp Lake outlet is bad, but second to my previously mentioned section. Looking at your photo seems, the bushes have grown in more. Camped on the ridge about halfway between the "Lake" and the park boundary, then up to the lookout and back down the next day. Gorgeous views from the lookout and it was in amazingly great shape. And this is the crossing of the Swamp Lake outlet creek. As you know... made it up The Incline in Jan. That was pretty cool too. I believe that the trail that goes from fish camp to the mariposa grove is also used for riding horses on. People are allowed to ride their horses up to wawona point, but the horses aren't allowed inside the mariposa grove itself. I haven't done that part of the trail yet myself but I assume they have to start in fish camp to take their horses up. Also I agree, it is a great idea to explore as many trails as you can. Yosemite valley is great but there's just so much more to the park that many people never see. Edited 1 time(s). Last edit at 01/15/2013 10:43PM by marmot. This thread has brought back a lot of fine memories from the early 70's. At sundown every evening, the fire lookout people would announce by radio that they were going off the air and then they would talk to one another about the sunset, flowers, etc. Donna was on Devils Peak overlooking Wawona, Harry and Geneva were at Henness Ridge and Juanita was on North Mountain. I met Donna, Harry and Geneva on separate occasions, but I never had the pleasure of meeting Juanita. I was advised by firefighter friends that she made excellent cookies. take the out loop trail to Biledo Meadow. Biledo is signed for horses also. person walking the outer loop from Wawona or back thru the next day. I know you're a bit Wawona lover. the outer loop trail is nice, it definitely separates you from most other people as well during the busy season. I did the 6 mile trail from the mariposa grove to wawona in september and loved it. I was the only one on the trail that day (well I came across a few high school aged kids who had taken a wrong turn looking for the grizzly giant and needed some guidance in getting back to the grove). Edited 1 time(s). Last edit at 01/16/2013 06:20PM by marmot.